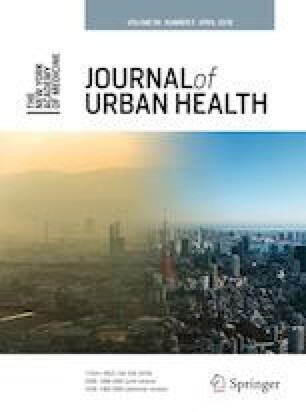 The purpose of this study was to better understand residential segregation and child/youth health by examining the relationship between a measure of Black-White residential segregation, the index of dissimilarity, and a suite of child and youth health measures in 235 U.S. metropolitan statistical areas (MSAs). MSAs are urban areas with a population of 50,000 or more and adjacent communities that share a high degree of economic and social integration. MSAs are defined by the Office of Management and Budget. Health-related measures included child mortality (CDC WONDER), teen births (NCHS natality data), children in poverty (SAIPE program), and disconnected youth (Measure of America). Simple linear regression and two-level hierarchical linear regression models, controlling for income, total population, % Black, and census region, examined the association between segregation and Black health, White health, and Black-White disparities in health. As segregation increased, Black children and youth had worse health across all four measures, regardless of MSA total and Black population size. White children and youth in small MSAs with large Black populations had worse levels of disconnected youth and teen births with increasing segregation, but no associations were found for White children and youth in other MSAs. Segregation worsened Black-White health disparities across all four measures, regardless of MSA total and Black population size. Segregation adversely affects the health of Black children in all MSAs and White children in smaller MSAs with large Black populations, and these effects are seen in measures that span all of childhood. Residential segregation may be an important target to consider in efforts to improve neighborhood conditions that influence the health of families and children. The online version of this article ( https://doi.org/10.1007/s11524-018-00330-4) contains supplementary material, which is available to authorized users. This project was financially sponsored by the University of Wisconsin School of Medicine and Public Health, the Herman and Gwendolyn Shapiro Foundation, and the University of Wisconsin Department of Population Health Sciences. The sponsor played no role in the study design; in the collection, analysis, and interpretation of the data; in the writing of the article; or in the decision to submit it for publication.